Ian Reeves is a founding partner of Henderson Reeves Connell Rishworth. His experience extends over 48 years in New Zealand, England and Australia. He has practised law in Whangarei for 35 years. Ian leads the property team and has broad experience in commercial and business law with a special interest in farm purchases and the law relating to trusts. He has been a presenter at an Auckland District Law Society seminar on trusts. He also has had considerable experience in litigation and environment law. Ian has been a keen sailor and a budding sculptor. He enjoys the natural beauty and close knit community that surrounds his home on the Tutukaka coast. Ian has actively supported the Arts in Northland for 40 years, holding office on many trusts and incorporated societies active in the Arts field. He was a proud contributor to the building of Forum North as a member of NORTAF. He was a founding trustee of the Northland Events Centre Trust. As a trustee of the Prosper Northland Trust he is very involved in the Hundertwasser project. 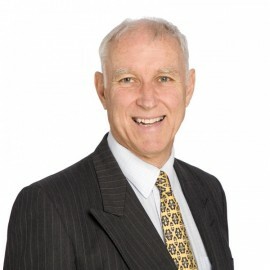 He is active in local business organisations and is honorary solicitor for many charitable institutions in Whangarei.